To build Konstruisto on Windows, we need to set up Clang++ compilation with MinGW headers. It’s not a complicated process, but can take some time if you don’t know where to start. Please note we are setting up only 64-bit builds here. I assume you have some terminal emulator installed (Git Bash does the job here). Make sure you can open .7z archives (you can download 7-Zip for free). LLVM is a set of tools for compilation of various languages. It contains clang++. 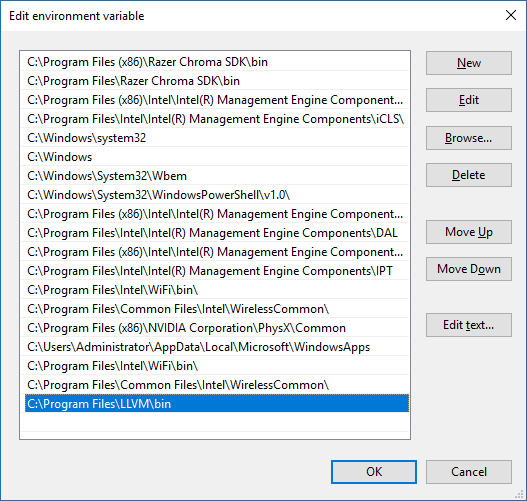 To get the latest stable version, go to their Downloads Page and choose latest stable Windows (64-bit) binaries. We use LLVM 7.0.0 in this article. Make sure LLVM’s bin folder is in PATH, and restart terminal emulator if it was already running. We will download MinGW-w64 which contains headers we need for clang. Go to project’s page on SourceForge, choose latest stable build with POSIX threads and SEH exception model. In this article, we use x86_64-8.1.0-release-posix-seh-rt_v6-rev0.7z. Unpack archive (I put mingw64 in C:\Program Files\). You will find a number of standard tools in bin folder. Add this folder to PATH, so that clang can find it. Tip: make is bundled as mingw32-make.exe. 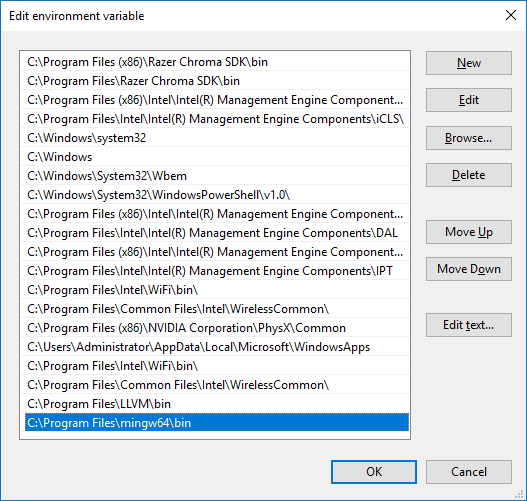 You can run mklink "C:\Program Files\mingw64\bin\make.exe" "C:\Program Files\mingw64\bin\mingw32-make.exe" in Windows’ CMD as Administrator to create a soft link from make. MSVC is the default toolchain for Windows, so you will have to set target manually. Everything works now!